Early in 2016, the directors at Derby County Football Club identified that an unsatisfactory heating system in their concourses was limiting potential sales from their food and drink outlets. 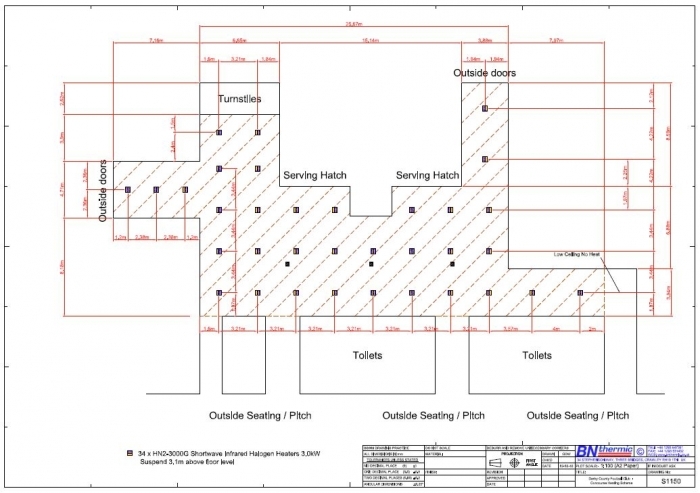 A BN Thermic engineer was called in and we designed a completely new heating system using short wave radiant heaters. 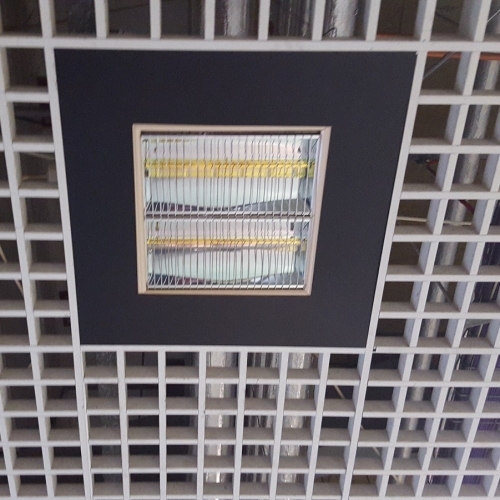 The system used ceiling mounted halogen heaters to provide virtually instant heat to the fans in the concourse without the need for pre-heating. A soft-start control system was employed to allow heat intensity to be adjusted easily from a single point improving both comfort and economy. 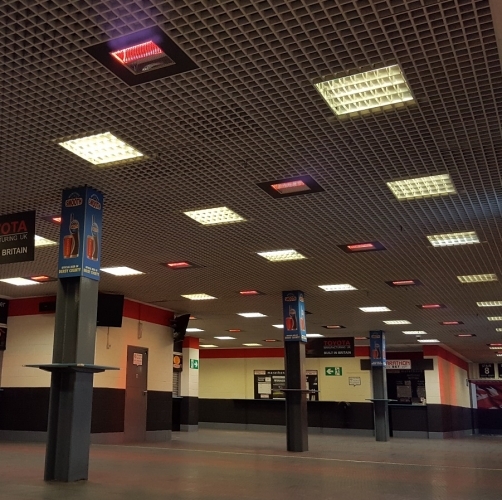 All in all, 180 heaters where installed throughout the concourses to create a warm environment for the fans. Installation was carried out during the summer of 2016 and we are pleased to report that the club is delighted with the outcome and that pie sales are booming! If you have any cold, uninviting areas in your premises – ‘call the heater people’ today!